Welcome to our feature, 'Meet The Jeweller'. We chat to our customers to find out how their jewellery making journey started, their experiences and a little bit more about the person behind the jewellery! Hi Louella, firstly tell us a little bit about yourself and Louella Jewellery! I was born in Cornwall, and it was my experience growing up in a Cornish farmhouse and spending time exploring the surrounding landscapes and local shorelines that sparked my fascination with nature. After studying film at Falmouth University I realised that although this was something I enjoyed, it was not something I enjoyed enough to make my career out of it. What first inspired your jewellery making journey? My passion for making jewellery came later. I took up silverwork as a hobby, but it was while working as the manager of an art gallery and selling other people’s creations that I realised there could be an opportunity for me to combine three things that I loved – Cornwall, crafting, and the natural world around me – within my metalwork. I decided to try and forge a new career doing something that I was passionate about whilst uniting these founding elements to build the framework for my own business. The difficulty came neither in creating the pieces nor setting up the business but believing that it could be a success. Have your surroundings influenced your designs at all and if so, how? I lived in Cornwall until 18 months ago when I moved to Dartmoor­­­­, however Cornwall still plays a large role in my life and my work. The influence of Cornwall’s natural landscapes can be seen throughout my work, my designs are raw and organic and also include natural curiosities such as sea glass and shells sourced directly from Cornwall. What's your favourite technique and why? Oh that’s a tricky one! My favourite part of the process is definitely designing new pieces but my favourite technique... that would have to be setting irregular, raw stones. It presents a challenge but great satisfaction! 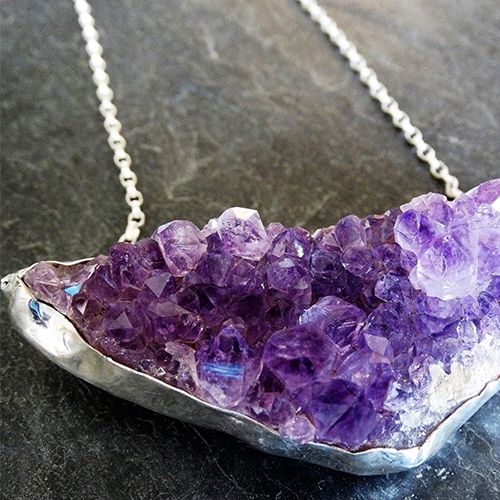 Read Kernowcraft's blog post on rough gemstone projects here. What advice would you give to someone thinking about starting a jewellery business? Believe you can. Have faith in your work and your journey and try everything, every technique until you find your unique style. Have you learned anything about yourself since starting a jewellery business? Most definitely. I have learnt that it never feels like work if you love what you do, but I need to remember not to work ALL the time! I have achieved more than I ever thought possible so I try to have a little more faith in myself now (that’s still a challenge sometimes!). What has your experience been at events and what advice would you give someone doing their very first jewellery stall or exhibition? I love doing shows, they are long and hard work but social and fun. I would say, allow more time than you think you need, take lots to drink as you end up talking all day and don’t be afraid to talk about your work, tell customers about it because they aren’t just buying your jewellery, they are buying the skill, the story and the process. Also take your wallet because you’ll see so many beautiful things from other makers! What is your top three workshop tools you couldn't live without? My hammers, definitely my hammers. I use them daily and I’m very precious about them! Next my pliers (the Kernowcraft ones are the best as they don’t make your hands sore). 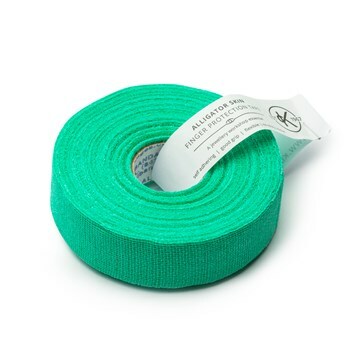 I also love my alligator tape, I used to be covered in cuts and that stops it completely! 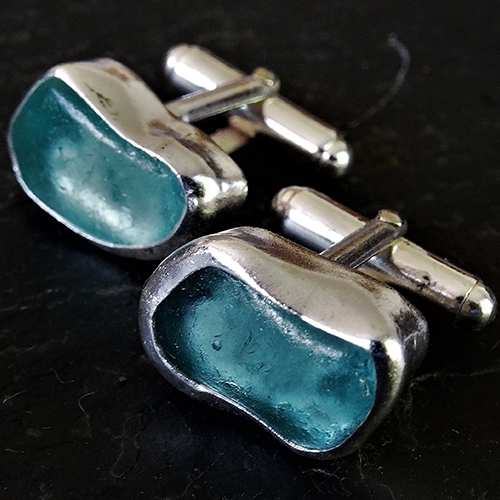 What is your favourite piece of jewellery you have ever made and why? I have just made my fiancé’s wedding ring and so that is most definitely my favourite piece! Before that it was my supernova ring because it was the trickiest thing I had made and so therefore I was the most proud of it. Where would we find you after a long day at the work bench? Walking on the moors or curled up with a cup of tea and my fiancé under my animals. 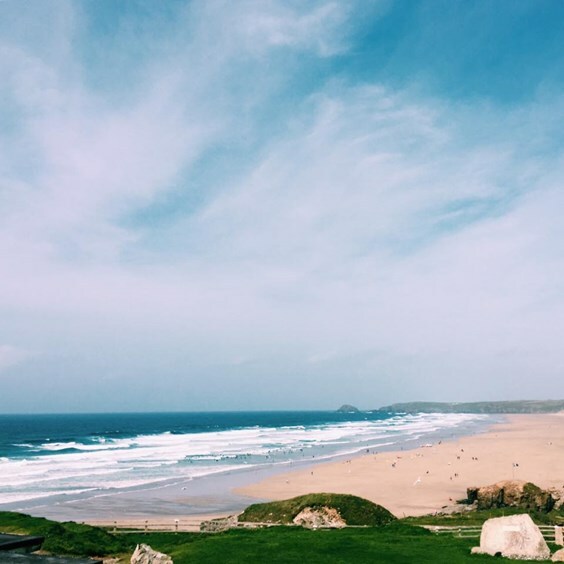 Where's your favourite place in Cornwall and why? I have so many! If I had to pick it would be Perranporth beach. The vast rugged beauty makes me so happy. Where can you find Louella Jewellery? 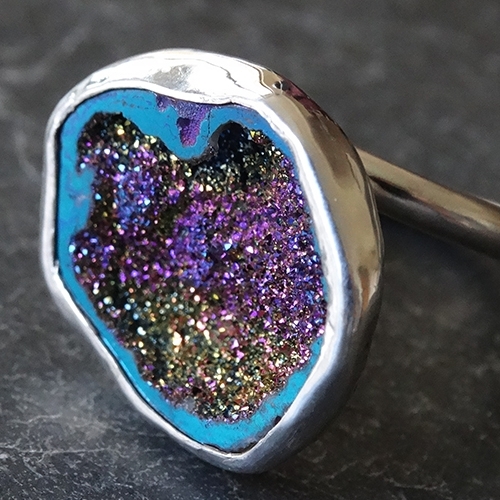 Take a look below at Louella's top jewellery picks from the Kernowcraft website... some of our favourites too! 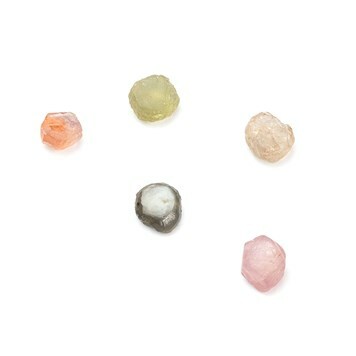 I love the Australian opals. 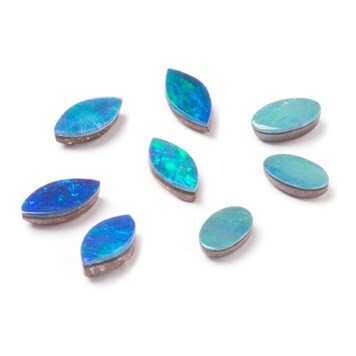 The fire in them is incredible and opals just lift any design. A magic little stone. I love my alligator tape, I used to be covered in cuts and that stops it completely!